Professor Errol Haarhoff, Architecture, Dr Lee Beattie, Urban Design, and Dr Paola Boarin, Architectural Technology, School of Architecture and Planning, Faculty of Creative Arts and Industries. The New Zealand Future Cities Hub established within the School of Architecture and Planning promotes cross-disciplinary research by supporting evidence-based policy, planning and design of the built environment that fosters innovation at a range of spatial scales and enhances individual and community well-being, quality design, urban sustainability and resilience. 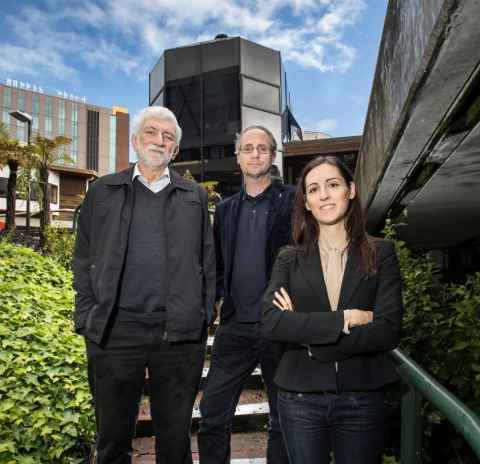 Researchers involved in the Hub are strongly committed to Aotearoa’s unique environment in order to generate relevant research to promote a shift towards more sustainable, affordable, efficient, inclusive, resilient and adaptable housing stock and to address the local and global challenges of future cities. The Hub works to enhance team building, to support researcher development, to identify research opportunities and to support success in external research funding, by engaging with industry, government, public agencies and communities, and by building local, national and international presence through innovative collaborations and partnerships.